Triple Flip grips non slip grips for hair clips arrived at Think Bowtique this month. 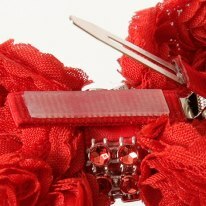 Very popular and the perfect grip to keep hair clips in your hair. 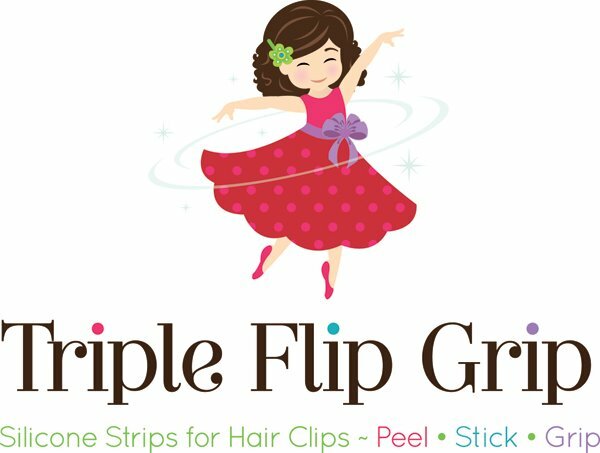 Triple Flip Grip your non-slip grip for hair clips here in Australia. Pre cut clear silicone non-slip grip product made especially for the hair accessory industry. TFG comes on sheets of 50 perfectly cut peel & stick grips. Triple Flip Grip is the first & original self adhesive, perfectly sized, pre-cut silicone grip strips made for hair clips. There are a lot of grip products in the market but none as perfect as the Triple Flip Grip made from peel & stick medical grade 100% silicone. These grips are CPSIA compliant, thus totally safe for use in children’s products. The adhesive is 3M and exceeds safety standards & has a permanent hold once pressure is applied. Not only is silicone safe, it is the most effective grip product available. You simply peel and stick this product to the inside of clips. The silicone does not stick to the metal prong but when placed in the hair the clip hangs on! Silicone does not compress, dry out or crack like foam or shelf liner does. Also there is no smell, mess or drying time like there is with the tube silicone. Our silicone is clear so you don’t need to buy different colors. ← How to make a triple layer rosette flower.